← Walter Benjamin: Why Is Art Worth More Than Music? The High Cost of Higher Education and Emergence of Affordable Alternatives. According to a 2013 Bloomberg Report, “the cost of higher education has surged more than 500 percent since 1985.” Seventy years ago, most Americans thought college was only for the wealthy elite. This perspective changed after World War II with the Servicemen’s Readjustment Act of 1944, better known as the GI Bill of Rights. The law made higher education affordable and veterans who never would have thought of going beyond high school were enrolling in college. One would have expected this surge in college enrollment to give rise to higher tuition, but that was not the case. In fact, states embraced the idea. Benefitting from the booming postwar economy, states were spending unprecedented sums of money to expand higher education while the government was setting up programs to help families pay for tuition. 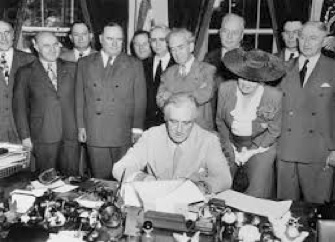 This led to the implementation of the National Defense Student Loan program, later called the Federal Perkins Loan program, which did for civilians what the GI Bill had done for veterans and helped expand access to a college education even more. With the civil rights movement came the landmark Higher Education Act of 1965 that promoted greater college access for women and minorities. Colleges and universities looked at ways they could help by providing grants and other forms of student financial aid in partnership with the new federal program. But a shift began to happen in the mid 1970’s when college tuition and fees began to climb triggered by double-digit inflation, an oil embargo and a sputtering economy. We started seeing the emergence of private loans, heavily subsidized by the federal government, replacing federal grants that became the main source of money for college students from both poor and middle-class households. Public investment in higher education dropped forcing the colleges to look elsewhere to replace their loss of funding. They did this by increasing tuition and fees and gradually the perception that higher tuition meant a better quality of education became a commonly accepted belief system. And today, with the sluggish economy and a job market that is unable to meet the demand of new graduates who are burdened with unprecedentedly high student loan debts, the rising cost of higher education in proportion to its merits are debatable. Parents are beginning to look at higher education with a keener eye and helping their children find less-expensive options as they realized that guaranteed access to affordable college education is no longer the entitlement many Americans thought it was 40 years ago. Parents are looking at alternatives to the high-priced four-year institutions, and one is the community college. The current price of a four-year state institution is triple that of a community college. High school graduates can easily transition into a community college, which is an excellent preparation for what lies ahead at a four-year institution. At a community college they can complete the general education requirements at a fraction of the cost it would have been had they entered a four-year institution. A student completing the GE requirements at a community college can transfer to a four-year institution to complete the courses for a major. Another possible good news about community colleges is that California’s state legislature has passed a bill that will allow a small number of community colleges to offer the bachelor’s degree. If Governor Jerry Brown signs the bill, California will be the 22nd to expand the reach of community colleges. The goal is not to compete directly with traditional four-year institution but offer baccalaureate programs in workforce fields such as dental hygiene, information technology, and automotive-technology management, to name a few. 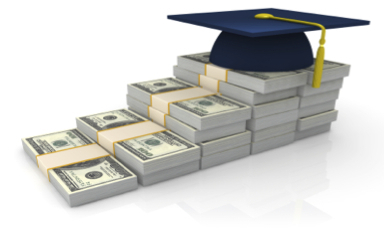 In California, the total tuition for a community college bachelor’s degree will be $10,560. Compared to a traditional college education, a community college bachelor’s degree is a great bargain. This affordable tuition can be seen as a threat to private, for-profit schools that offer the same type of workforce degrees. Other affordable alternatives, of course, include the MOOCs (Massive Open Online Courses), which at this time appear to benefit mostly those who already have a college degree and the discipline for self-study. But a new school has emerged which WGBH did a story on and it’s called the Minerva Project, a for-profit university offering online courses to students while moving them around the world together throughout the four years. Minerva Project is launching its first class this fall with thirty mostly non-U.S. institutions who will take the online classes starting in San Francisco, followed by Berlin and then Buenos Aires. The cost of this innovative tuition is $10,000 per year plus living expenses. When it comes to higher education, parents are becoming smart consumers and it is beginning to look like there are alternatives that are affordable and offer the college bound students the training which prepares them academically and the skills needed for the real world. Given that we live in a society that encourages education, there are numerous individuals unable to enjoy the privileges of higher education. It is pivotal that adults receive the opportunity to gain more knowledge and skills to remain competitive in this technological society. Government needs to reallocate more funding to adult education to provide greater access to more participants. Thank you for sharing this article. I appreciate the efforts extended by Vassar in its recruitment for low-income students. Oftentimes, those marginalized or less affluent populations cannot participate in higher education because of their socioeconomic status. Had it not been for the Pell Grant, I would not have been able to attend college myself. While I was scholarly, there were others that averaged higher than I did in high school and outscore me on the ACT/SAT and earned the full scholarships. Certainly, there students with the academic aptitude, but are not financially equipped to afford college.